What Options Do I Have to Reduce My Student Loan Debts? If you are having financial problems related to student loan debt, you have several options to reduce and possibly even discharge your debt. 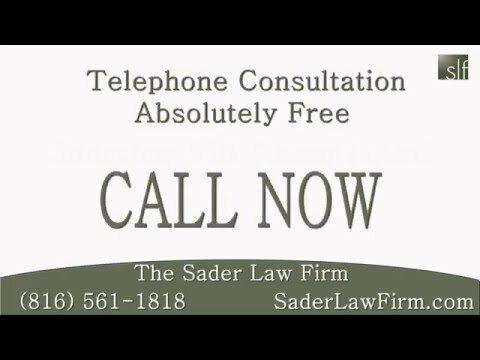 In this video, The Sader Law Firm explains many of the options you have, including extended repayment plans, income-based repayment plans, deferment, forbearance and even how filing Chapter 7 or Chapter 13 bankruptcy can help you repay your student loans. Are you struggling to pay your student loans? The Sader Law Firm helps student loan borrowers across the country find relief and get their finances back on track. Our attorneys help you choose the option best suited to your individual situation. Options can include loan modifications, loan forgiveness, debt consolidation and in some cases bankruptcy. All borrowers regardless of income may be eligible. Our firm was featured in Missouri Lawyers Weekly magazine for our work in reducing one client’s student loan debt by $250,000. We offer a telephone consultation absolutely free of charge, so call now to speak to a lawyer. ← Can This New Bill Help Remove Medical Debt from Credit Reports?